Our teaching staff is here to guide your yoga practice. Each teacher has a unique approach; try a class with several to find the best fit for you. To learn more about each individual teacher – background, interests, personal practice, teachers – please read their bios. Many paths, many teaching styles! 8 Limbs hosts experts from around the country to further our students’ practice. Find out more: Visiting Teachers. If you are interested in teaching or subbing at 8 Limbs, please complete the following application form. 8 Limbs is committed to providing a learning environment for teachers and staff. We are always interested in receiving feedback about classes and teachers. Please use this link to complete a brief anonymous survey and share your thoughts with us. Thank you! Abiola infuses her classes with fun, flow, and mindfulness aimed at making everyone feel comfortable and inspired. Adam wants you to take up space. Embody, expand, stretch and strengthen in a safe community. Intentional instruction, mindful moments, and a dose of real life is what Adi brings to each class. Alex creates a supportive and encouraging environment in each and every one of her classes. Amelia’s teaching is grounded in her extensive knowledge of yogic philosophy, anatomy, and asana, all of which she speaks to in her precise & concise way. As her students know, her teaching is also rooted in her compassionate and loving heart. Amy’s passion is in cultivating bliss and revealing inner radiance through the wisdom of yoga. Andreas leads a physically challenging class that weaves in yogic and buddhist philosophy and uses the asana practice as a way to understand ones self on a deeper level. Anna-Brown Griswold is a psychotherapist and facilitator in Seattle, and has been practicing Buddhism and working with racial justice issues for twenty years. She is passionate about bringing together tools for awakening and social justice. Anna-Brown teaches Unpacking Whiteness, a 6-week Deepening series. Anne Phyfe teaches monthly Chakra Awareness Workshops and subs at all four studios. Ara’s class focuses on connecting to inner awareness and finding a sense of calm through a strengthening and intentional breath-centered practice. With an eye to practices that resonate both on and off the mat, Ashley brings mindful and compassionate insights to all of her offerings. Atlee believes in cultivating a greater understanding of self through breath and movement. Bayeshan’s classes are a creative blend of breath-centric asana, mindful attention, and functional movement. Expect the wisdom of a 30-year teaching career, a good dose of humor, and a strong focus on the core to infuse each class. Through a deft weaving of precise alignment, thoughtful insight, and a great sense of humor, Claudette’s classes create space for self-expression, clarity of focus, and the sheer joy of movement. Cobey’s playful and approachable style allows him to take his students further than they imagined they could go. Deborah provides a focus on internal alignment, exploration of and deep connection to the body’s story, whether in the context of movement or stillness. Donte is dedicated to the sole purpose of inspiring his clients and students to awaken to their true nature and become everything they desire to be. Douglas’s classes offer clear instruction and unusual challenging sequencing that cultivate mental focus and integrated strength without strain. Experience the aloha spirit in Elena’s classes with her warmth, attention to breath, and focus on grounding. With experience spanning generations Jay provides a focused, fun, and broad-based yoga practice for a wide variety of students to learn and enjoy. Jeff leads an energetic practice set to a soundtrack that gives you permission to sink into your flow. Jen adds richness along with playfulness to the kids’ yoga classes she teaches. Jennifer teaches kids from 2 to 18 years old. She also volunteer teaches for Yoga Behind Bars. Jenna teaches joyful classes to bring students into their bodies and into the moment. You are naturally whole. Unhealthy experiences and negative thought patterns can disrupt your relationships with yourself and others. I will go at the pace and depth that your are willing and ready to work. Jenny is known for her clear and direct teaching style so that the teachings are accessible to all levels of practitioners. Jonna offers a skillful and strong practice and hopes that each student will walk away with a deeper understanding of themselves and the yogic path. 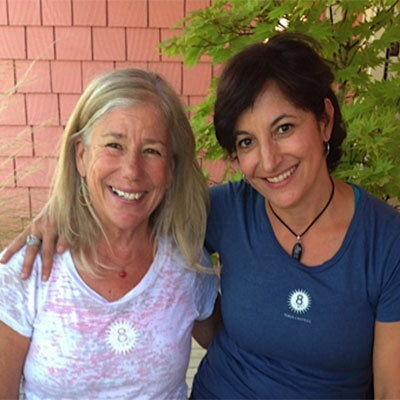 Karen’s classes are a mix of mindfulness, pranayama and love, love, love. Classes are slow and steady with time to find where we are within each pose. She wakes up the fascial “wetsuit” with intuitive and investigative movements rather than long, static holds. Students can always count on a long and restorative savasana to down-regulate the nervous system at the end of every class. Promised! Katie believes that it is beautiful and singularly satisfying to use breath and movement to discover peace and stillness together. Real-world instruction, steeped in tradition with a smile. If you like a little freaky-deaky in your day, Lady Natasha’s radiant and playful approach to meditation space is the place for you. Lasara is a playful and inclusive teacher. She uses her wealth of movement experience to guide students into a more balanced state. Lauren is known for her precise and insightful instruction style, as well as her innate ability to immediately put you at ease in a fun and affirming way. Liz has a unique way of doing things, and a keen eye for subtleties that catapult her students to the next level. If you’re ready for something different and want someone who can uncover your unique strengths, offer you tangible advice to deepen your experience, and get real results as a yogi, you’ve found the right teacher. Martiza guides her classes in a dynamic and profound way: non-judgmental, full of compassion, respect, knowledge and understanding of everyone’s sacred space and needs. Marni offers creative and knowledgeable class sequences with spiritual tradition and personal inquiry. Mary’s classes are known for their humor, warmth, and deep love for the preciousness of all beings. All of Megan’s accessible classes are often focused on the lunar and seasonal cycles, and meditation and breathwork geared toward accessing energy and the chakra system. Expect to turn inward and experience your own essence and anatomy, breath by breath. MJ has an intuitive, gentle approach to her teaching style. Her classes focus on reaching all the layers of our being by incorporating vinyasa, yoga philosophy, pranayama, mudras, and vibrational sound through chanting and Tibetan prayer bowls. To Nancy, teaching yoga is a privilege and she continually feels honored to witness students become more self-confident, self-compassionate and courageous on their mat and in their lives. Nancy’s classes are challenging and she is committed to making her classes accessible to all. She believes success is found in building a strong community through the practice of Yoga. Rebecca’s Kids Yoga classes are fun and creative and encourage an atmosphere of respect and working together to build community. Intentional and grounded teaching with modifications for all is what keep’s Rebekah’s students coming back for more. Rob and Melissa’s regular kirtan offerings at Phinney Ridge provide an opportunity to come together in community and experience the power of chant. Rosie’s classes reflect the sentiment: You are a living exhibition in constant transformation. RW, E-RYT 500, C-IAYT, SEP, is a yoga therapist, yoga teacher trainer, and Somatic Experiencing Practitioner whose teachings promote accessibility, inclusivity, social justice, body positivity, trauma healing, resilience, unconditional self-acceptance, community building, and personal and community transformation through yoga and somatics. Her core belief is that the state of yoga should be available to all. This drives and inspires Sally to teach, especially to those who think they can’t do yoga. Shuja has a natural gift for igniting the fire in each of his students. Sybill brings warmth, calm and humor to her classes, creating a welcoming space for all to explore the healing power of yoga. Tami’s style is consistent. You will enjoy a blend of strength building and warming flow but also feel nourished in deep release and long restorative stretches. Terilyn’s intention as a teacher is to create space for every body to feel equally valued and welcomed. Tess’s teaching is deeply rooted in curiosity and inclusivity. All of Tracy’s classes start with a call for requests, from which she co-creates a class on the spot based on what she hears and sees in the room.